As a follow up to our Shields To Show Alliance Pride post we present shields to show your Horde pride. If you want to show those sniveling Alliance the true might of the Horde than grab one of these shields we list after the jump. For the Horde! This shield has it all: bones, steel, wood, chains, spikes and (most importantly) a Horde symbol. 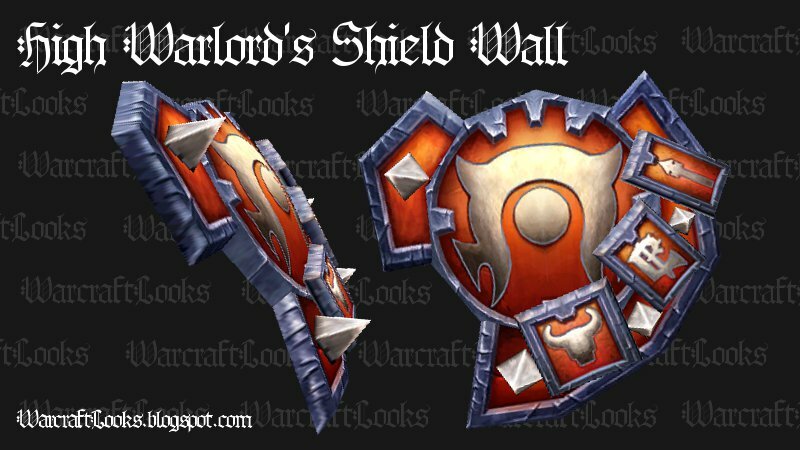 This shield would look great on an orc warrior or any member of the horde wanting to show their enemies what being part of the Horde means. Just like the Horde itself, savage is the best word to describe this shield. 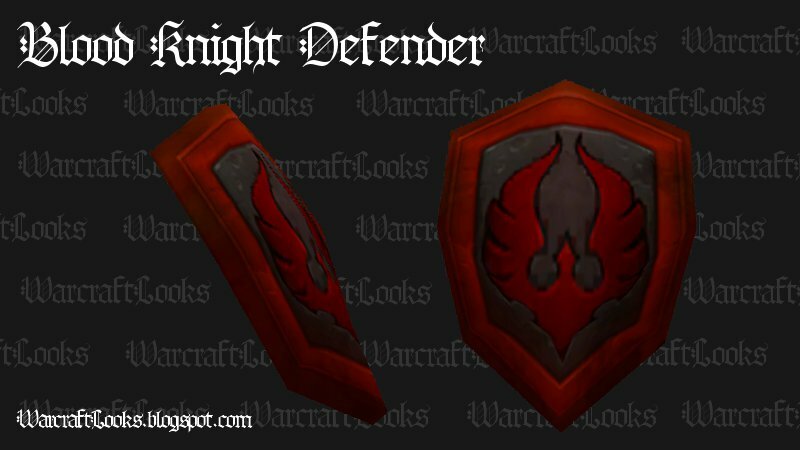 This shield can be obtained by members of the Horde only and comes from the Champions' Cache in the Trial of the Crusader 25-man raid. Dark iron, read and silver are the colors that adorn this classic Horde shield. All the original races of the Horde, Orcs, Tauren, Undead and Trolls are represented on this shield. I true symbol of the solidarity and strength of the Horde. Also it has plenty of large spikes. Nothing says "Horde" like giant metal spikes. 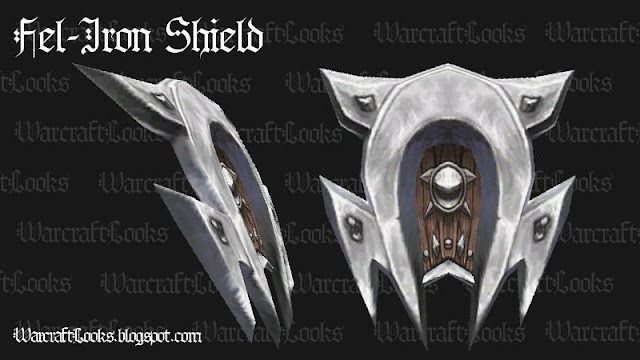 This shield can be purchased from Stone Guard Zarg in Orgrimmar for 185 Honor Points. While the other shields in this lineup may include a Horde symbol this shield is a Horde symbol. There is no mistaking when you are sporting this steel and wood shield that you are representing the Horde. It doesn't hurt that the Horde symbol just happens to have some very nice sharp edges and pointy bits. Perfect for impaling anyone who dares stand against the Horde. 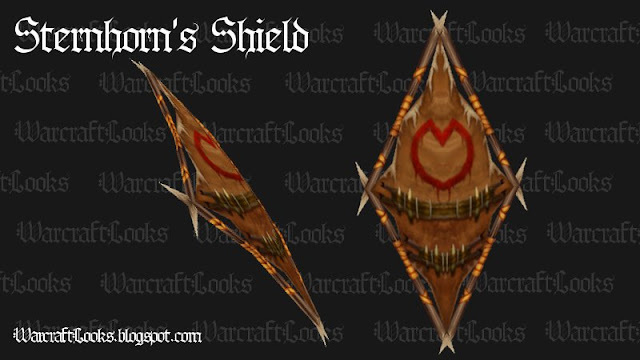 Taurens wanting to show their pride need look no further than this shield. 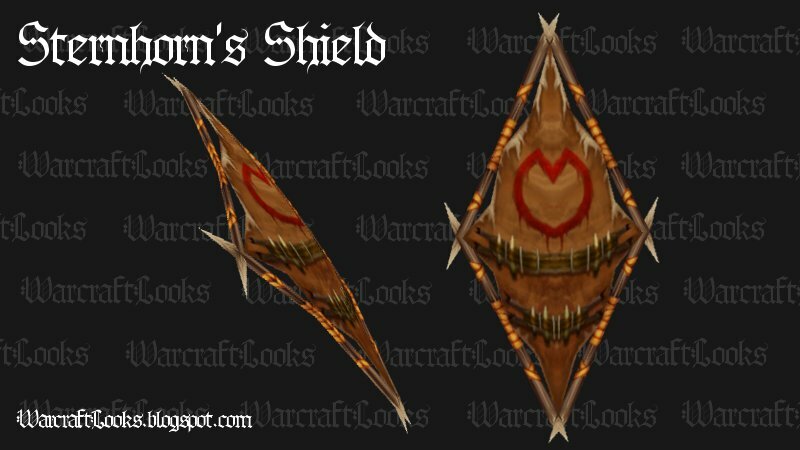 Crafted from animal hides, teeth and large sharpened stick this shield not only evokes an aesthetic distinctly Tauren but also includes a large red hoof print painted on it. One with nature. One with the Horde. 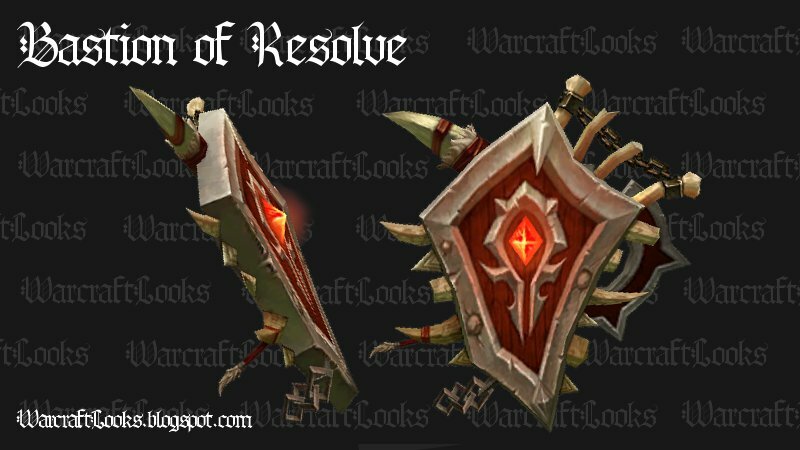 While the Blood Knights are an elite group of blood elf paladins this beautiful gun metal and blood red shield (or it's twin the Bloodforged Guard) would look great on any blood elf. For blood elf paladins who have their Blood Knight Tabard this shield is a perfect match. Any other member of the horde who wants to show their solidarity with the blood elves should sport this magnificent crest. This shield is dropped by Watchkeeper Gargolmar in Hellfire Ramparts (Heroic). Special thanks to the redditors who commented on our previous reddit post sharing their favorite Horde shields. As mainly play Alliance your help was invaluable in putting this post together. We'd love to hear about shields you feel show Horde pride that we may have missed.